Jeffrey Kipnis’ box-in-a box problem is investigated through a series of formal operations applied to the diagrammatically free floating inner volume of Beinecke Rare books Library. 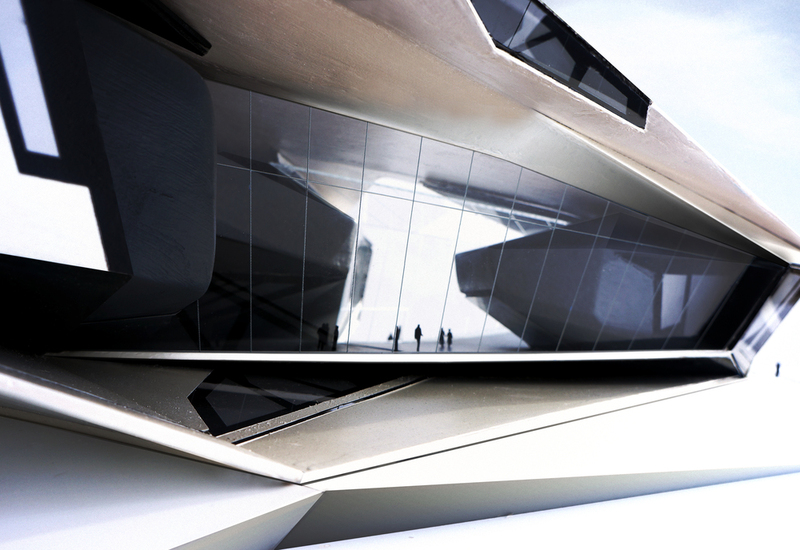 The inner box pushed against the outer skin as first step is exemplified by Jean Nouvel’s Tokyo Opera proposal. In the final step the outer skin is stretched out around and fused together to create enclosure. Simultaneously it is sucked back in around the inner box to create deep involutions. The spatial and organisational potential of the interstitial space generated through these operations are further explored. On site, the project pulls the public in from Grand Avenue onto a new ground plane. This public zone allows for visual connection through the site onto Hope Street. The building form becomes orthogonal on its eastern elevation facing the book-end structure of adjacent Walt Disney Concert Hall. 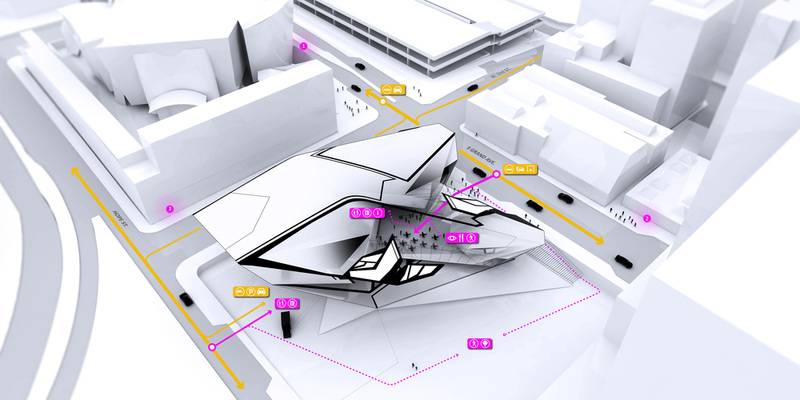 Programmatically building holds a semi-public art storage connected with office space, a main exhibition hall and public cafe formalised as the three internal figures connected through the public plaza / lobby. The tattoo negotiates structural seams as well as areas of puncture through the outer skin for natural light. Graphically the tattoo collapses multiple layers of the building skin down to a two dimensional reading from certain vantage points. This graphic collapse provides additional dynamism to the multilayered and involuted overall form as one moves around the building.